Oh God. What is this insect? 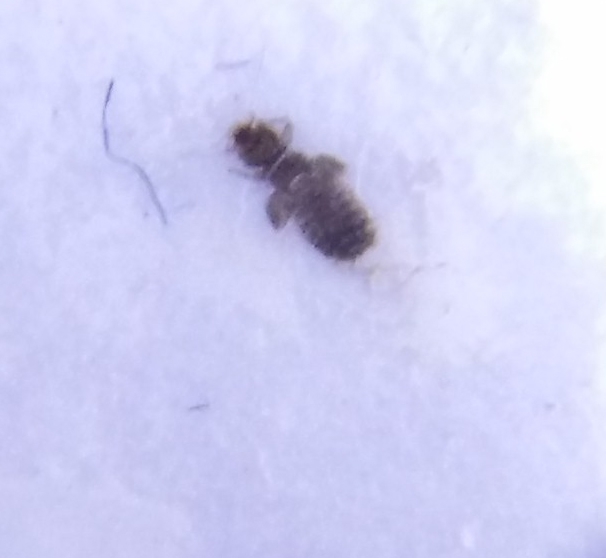 So I found a few of these lice running around on my bra. Caught one and put it under tape. This photo was taken through a powerful jeweller's magnifier. I can't overstate how tiny this thing is. 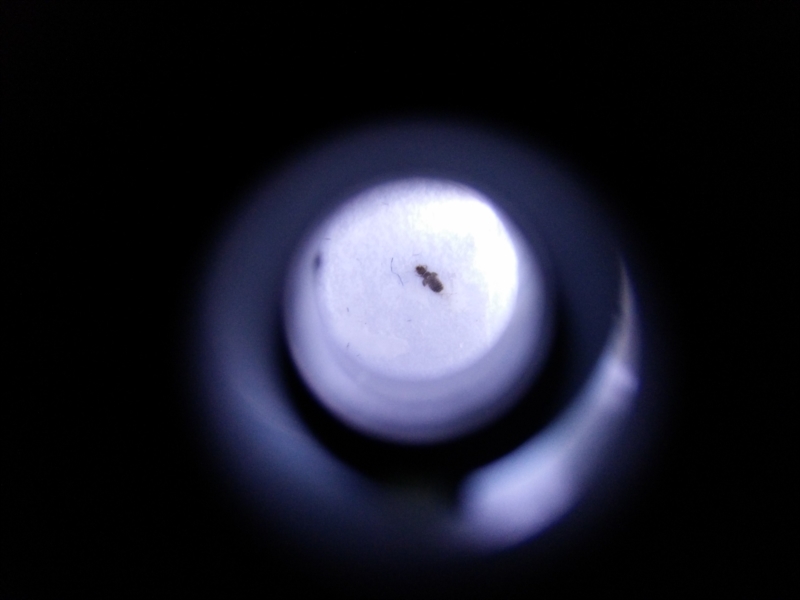 Its much, much smaller than an ant, and faster. Is it a body louse? Scabies? Crab? please say no.